Designed in a tall, tapered shape, this accent table is the perfect chairside accent. The simple, casual design includes a bottom shelf, providing display space for books, magazines, or room decor. Available in a rich oak or warm cherry finish. 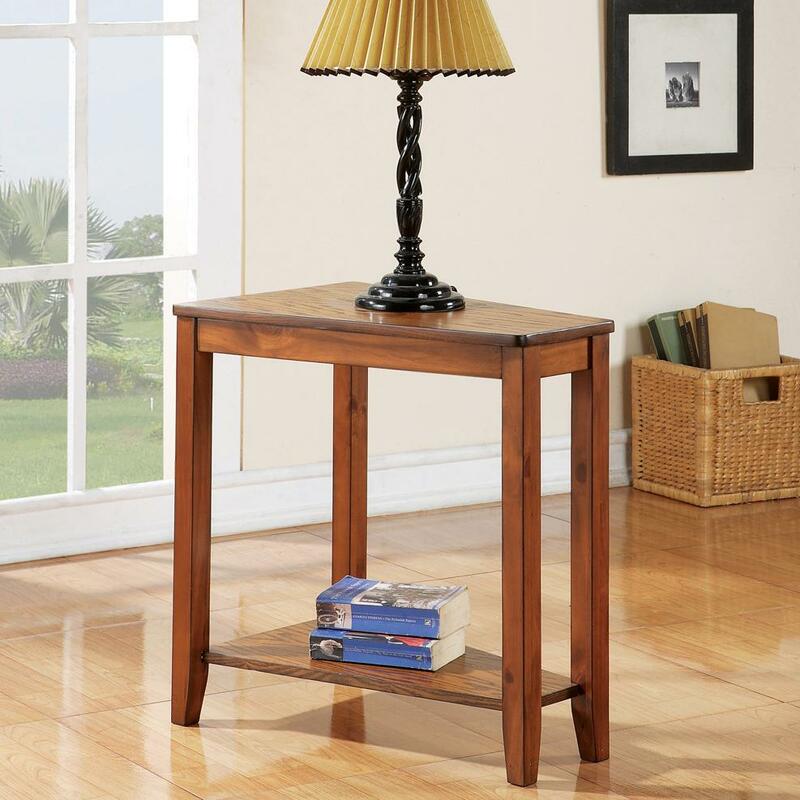 The Joel Casual Chairside End Table with Shelf by Steve Silver at Northeast Factory Direct in the Cleveland, Eastlake, Westlake, Mentor, Medina, Macedonia, Ohio area. Product availability may vary. Contact us for the most current availability on this product. The Joel collection is a great option if you are looking for Casual furniture in the Cleveland, Eastlake, Westlake, Mentor, Medina, Macedonia, Ohio area.